Hey Bolting Bits family! We have quite the treat for you today – and it’s a remix from the likes of St Germain! It’s been quite some time since we have heard new material from the French maestro, but fortunately, the wait is now over. Having centered his self-titled album around the music of sub-Saharan Africa (particularly Mali), it’s no surprise St. Germain has elected to remix one of Mali’s brightest rising stars. Abdoulaye Koné said Kandiafa is his name, and he comes from a long lineage of famous Mali musicians. In fact, he’s the nephew of Mama Sissoko, Ali Farka Touré’s famous traveling companion. Nicknamed the “Django Reinhardt of Mali,” Kandiafa is just getting things started at 30 years of age – creating a sound and a style that resembles Django’s flamenco but is uniquely his own and authentically African. 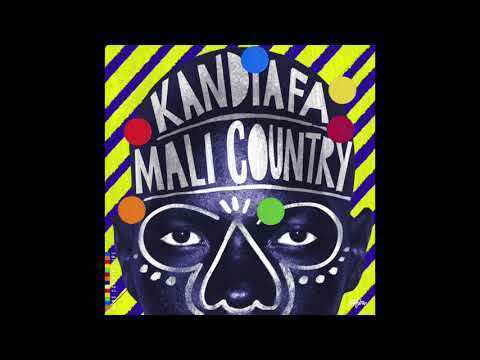 For the remix EP of his debut Mali Country, Kandiafa has gathered the likes of St Germain, Ghost of Christmas, Mawimbi and Sebastien Forrester to offer up hypnotic reinterpretations of the tracks Kele Magni and Nyonton. In St Germain’s edit of the song, the producer keeps many aspects of the original intact while incorporating an assortment of dance-floor essentials that fill out Nyonton and give it an afro-jazz feel that’s marked by mesmerizing synths and emphatic percussion. The EP is set to be released next month on June 29th, so make sure to follow the label Pschent‘s facebook page once more details come out.